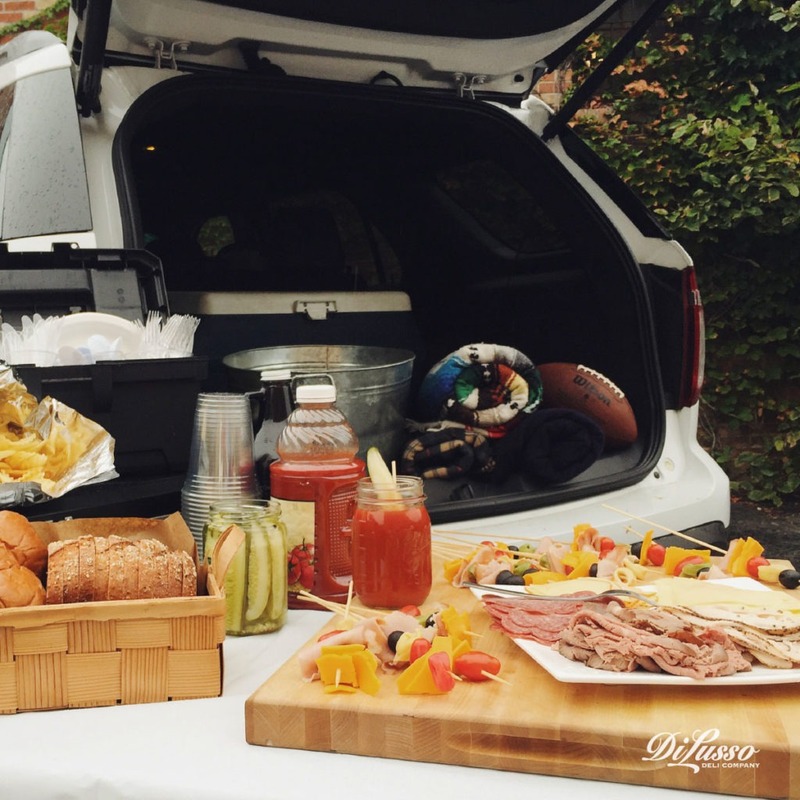 The best part of the big game takes place before the game even begins: tailgating! We’ve got some simple and delicious tips that will show off your culinary expertise and help you party with ease and style. 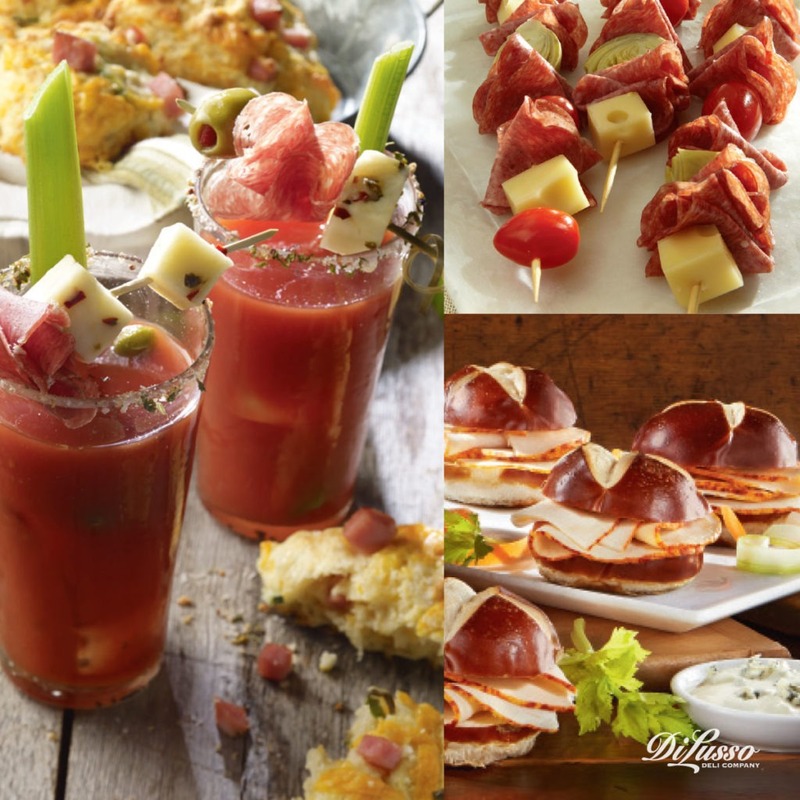 With a little planning and a make-ahead menu to please your hungry crowd, we’ll help you score big, even if your team doesn’t. Re-purpose a large toolbox to house small essentials. Cans & bottles on the bottom. Bagged and fragile items on top. Use watertight reusable containers to store food items. Thin layer of ice between layers; let it fall between the cracks. The fuller the better. This will keep the air inside cool. Chill everything first, especially adult beverages. Dedicate a cooler to beverages and label clearly. Freeze bottles of water to use as ice, then drink after they melt. If you plan on mixing drinks, dedicate a cooler just for ice. These deliciously simple, make-ahead recipes will earn you the coveted title of Tailgating Gourmet. No forks or spoons required here. Food in one hand, beverage in the other! From sticks to sliders, these tasty menu options will keep your game-goers coming back for more. Tuscan Stromboli Ring. 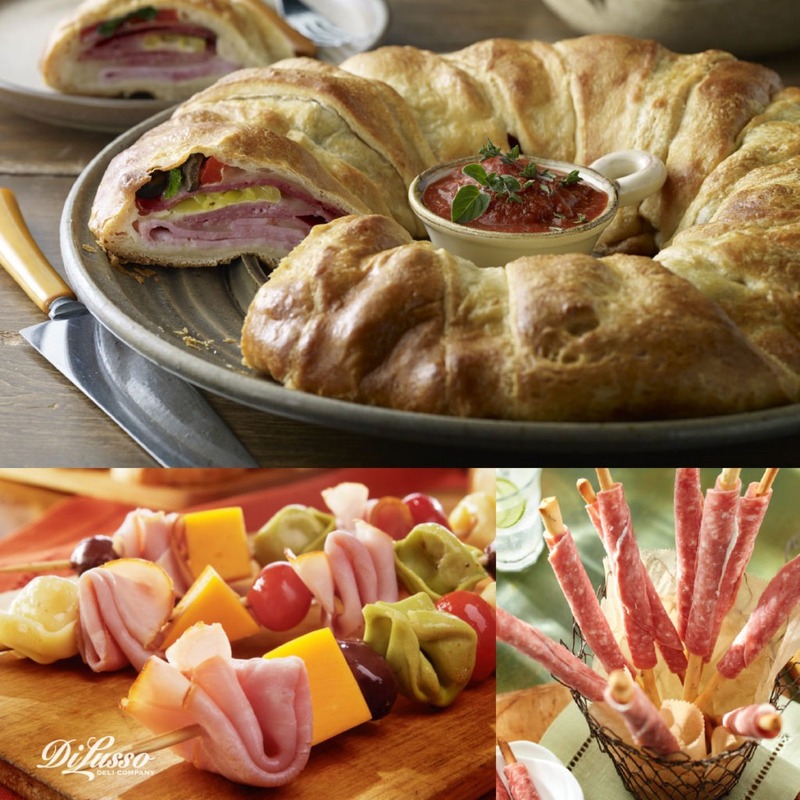 Easy bake crescent dough filled with Italian favorites like hot ham capocollo and hard salami make this a beautiful and tasty way feed a hungry crowd. Just fold and layer meats with chopped giardiniera, roasted red peppers, black olives, fresh basil and provolone. Bake it ahead of time and serve cold or break out the grill to warm onsite. Bottled marinara sauce makes for easy dipping. Antipasto Kabobs with ham, cheddar cheese, tortellini, tomatoes and kalamata olives. Grisini Genoa Breadsticks with genoa salami and softened cream cheese. Antipasto Skewers with hard salami, cubed Swiss cheese, cherry tomatoes and artichokes. Buffalo Chicken Sliders on pretzel slider buns served with a side of carrots, celery and blue cheese dressing. Bloody Mary Cocktails a classic tailgating beverage to fill your free hand! Your menu will dictate what you need in terms of drink ware, dinnerware, flatware, etc. Keep it simple and have fun with your team’s colors. Tailgating can be messy business. A little planning will keep the messes clean and contained. Cardboard boxes break down easily for travel and make perfect trash and recycling bins.